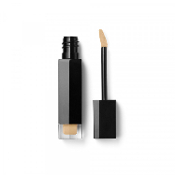 Instantly conceal the appearance of darkness and imperfections with one swipe. Advanced formula provides a supple,comfortable finish for a more unified skin tone that wears for up to 8 hours. Vitamins C & E condition skin and help protect against free radical aggressors. Silica helps minimize the appearance of imperfections. How To Use: Apply to desired area using applicator. Blend with fingertip, brush or sponge for a seamless finish.